« Homepage / Food and Healthy Eating / Recipes / "Kahlua Grilled Shrimp on Angel Hair Pasta"
Combine ingredients for marinade, and marinate shrimp for several hours. Grill shrimp over charcoal fire with mesquite and hickory wood. Reduce the veal stock; thicken with cornstarch, add Worcestershire and red peppers. Add cooked pasta to reduced veal stock. Serve shrimp over angel hair pasta. Garnish with fresh cilantro and grilled tomato. 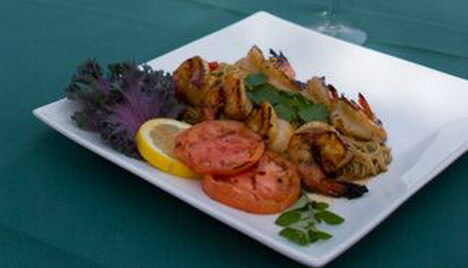 Here you can write a comment to the post "Kahlua Grilled Shrimp on Angel Hair Pasta"